Is there a way through my times of ineffective prayer? Prayer can be a great blessing. Prayer can also be a challenging struggle. However, I do believe that we can find hope in the dark night of our wounded souls even when prayer is very difficult. We can make connection with God in the middle of our messy lives. We can regain our trust even in the brokenness of our spirits and with our disappointments with God. Though not easy, the road to a vibrant prayer life with the Father has been walked before. Others have walked down this road of difficult prayer. They can show us that God is waiting, watching, and yearning for us to come to him in honest prayer. Let’s remember three reassuring examples of the power of prayer. We can hang onto to these when life is tough and prayer seems ineffective. They remind us during times of change, loss, uncertainty, and transition that we can still break through and find prayer a sustaining blessing. Jesus told a story about a persistent widow who couldn’t get justice. So, she kept “bothering” an unrighteous judge who, at first, would not grant her what she needed (Luke 18:1-8). However, because she persisted, the judge granted her requests. Jesus told this story to remind his followers “that they ought to pray and not lose heart” (Luke 18:1 ESV). The widow, wouldn’t give up. She hounded this judge till he gave into her please – notice how one translation puts it: she is “driving me crazy” and “wearing me out” (Luke 18:5). Jesus’ point is that if this lady could get her way with an unrighteous judge who cared nothing for her, then surely God will bring justice for his “chosen ones, who cry out to him day and night” and he won’t “keep putting them off” (Luke 18:7 NIV). Let’s keep praying until there is a breakthrough or the Lord shows us another clear answer! In the same way, the Spirit helps us in our weakness. We do not know what we ought to pray for, but the Spirit himself intercedes for us through wordless groans. And he who searches our hearts knows the mind of the Spirit, because the Spirit intercedes for God’s people in accordance with the will of God (Romans 8:26-27). The Holy Spirit intercedes for us with the Father. Because of this intercession, God always hears our prayers, even if we cannot verbalize what is on our hearts. Even our feelings are heard and made clear to the Father. Everything we need to say, all that we want to say, and everything that we feel is cleaned up by the Spirit and brought to the Father in an appropriate and clear way. We are not alone when we pray, the Holy Spirit helps us even when we can’t see or feel his presence. Most relevant to us in our interim season, Nehemiah is a great example of prayer, especially group prayer and leadership prayer during times of uncertainty, challenge, and transition (Nehemiah 1:1-11; Nehemiah 2:1-5). Nehemiah’s country and the prized city of Jerusalem lay in ruins. The city was mound after mound of rubble and destruction. The Temple had been rebuilt, but for around one hundred years, the city lay in ruin. Few lived there. Those who did were unprotected. The worship of God and the services of the Temple had all but ceased. So, Nehemiah prayed and fasted about the problem for four months. He prayed night and day. He shed endless tears and was lost in deep grief. He confessed his own sin as well as owned the sin of his people — sin that went back generations. He longed for God to act decisively to redeem the people and help them rebuild their holy city. Then God moved in a powerful way. He opened the door and strengthen the heart of Nehemiah to lead the people to rebuild the wall. God moved the heart of the King of a foreign land, Persia, to help Nehemiah. Nehemiah, because of God’s answer to countless of his prayers, led the people to do in 52 days what no king, governor, military leader, priest, or prophet could accomplish (Nehemiah 6:15). This last example has some powerful things to teach us about our deepest yearnings in prayer. 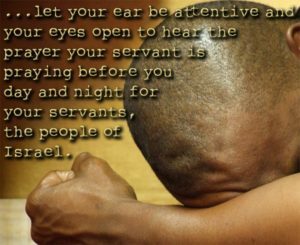 Nehemiah shows us a way out of our own frustration with prayer. So, take a moment and dig around in Nehemiah’s prayer as he asks God to give him success with the king each day (Nehemiah 1:5-11). Notice that Nehemiah prayed his prayer for God’s deliverance day after day. * He prayed and fasted and wept off and on for four, long, wearisome months before King Artaxerxes noticed. But he kept praying even when nothing seemed to change. God was working on the King’s heart. Even when Nehemiah’s prayers were heard, there was still much work for him to do — hard work, wearisome and discouraging work. But, Nehemiah’s faithfulness to prayer and willingness to be part of God’s solution brought a great blessing to God’s people and Nehemiah. Nehemiah prayer life was filled with his reverent recognition of the greatness and faithfulness of God (Nehemiah 1:5). He ended his prayers with a reminder of God’s promises to his people (Nehemiah 1:8-10). Nehemiah reminded himself of God’s position, power, and people every time he prayed. He prayed knowing that God works through a people and not just a person. He was firmly convinced that he was a part of that people and was willing to offer his life to see his prayers to God answered. In his prayers, Nehemiah owned his own sin by confessing it (Nehemiah 1:6-7). He also owned the sin of his predecessors who had been unfaithful. He made clear that he wanted to be the terminal generation for this unfaithfulness. He didn’t blame others; he included himself in the blame. Satan would like to make us think our situation and our broken heart don’t matter to God. • He asked for God’s help in important conversations (Nehemiah 1:11; Nehemiah 2:4). • He asked for God to bring defeat to the mocking enemies of God’s people (Nehemiah 4:4; Nehemiah 6:14). • He asked for his own good deeds to be remembered favorably by God (Nehemiah 5:19; Nehemiah 13:14; Nehemiah 13:31). • He asked God to remember the evil others had done to hurt God’s people and dishonor God’s holiness (Nehemiah 13:29). • He prayed for God to make him strong for the hard tasks he faced (Nehemiah 6:9). From Nehemiah, we learn to be faithful in prayer even when it doesn’t seem to be getting us anywhere. We learn to be honest with God in prayer about our sin and the sin of those who are around us and those who have come before us. We learn to praise God for his power and faithfulness as well as remind ourselves of God’s promises for us. From Nehemiah, we also learn that we can offer God simple, conversational, and honest prayers about the challenges and opportunities we face in our lives. Satan would like to make us think our situation and our broken heart don’t matter to God. The evil one wants us to believe our prayers go unheard — that they are either unworthy to be heard or that God is ignoring our condition and ignoring us. The devil wants us to feel alone and rejected. This is where our commitment to persevere, “to pray and not lose heart” (Luke 18:1), becomes essential. 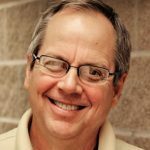 The interim season between preaching ministers can be a difficult and challenging time for most congregations. The preacher’s leaving can be tied to hurt feelings if he has had a successful ministry and feels called to go to another congregation. The preacher’s leaving can be associated with hard feelings because some wanted him gone, others wanted him to stay, and others blame other church leaders or some other group for his leaving. The preacher’s leaving can be tied to tragedy – his death or his sin or some emotional breakdown. The preacher’s leaving can be related to congregational neglect of and insensitivity toward the preacher, his family, and their needs. No matter the reason, the interim season can make many of God’s people feel as if their prayers for the congregation and its leadership went unanswered. However, we must remind ourselves of our three prayer stories: the persistent widow, the promises of Paul about the Spirit’s help, and the example of Nehemiah. When we do, we have a powerful prayer toolset. This toolset offers us encouragement to pray and not lose heart even in the darkest of times. This toolset offers us the promise that our prayers are always heard and the Holy Spirit is with us to help us in our prayers. This toolset offers us examples on how to pray and what to pray. This toolset offers us assurance that even when we can’t find the words to pray, we can point our heart to heaven and know the Holy Spirit makes sure we are heard as a precious child of God. In our brokenness, discouragement, disappointment, and doubt, let’s “pray and not lose heart” while we wait for the Lord to open the door for a new day to dawn and fresh leadership to emerge. Then, when the door does open, let’s prayerfully step forward to help God’s people live into a new day of his presence, power, and grace! * Nehemiah began his prayer in “the month of Kislev in the twentieth year…” (Nehemiah 1:1). His prayer, fasting, and grief continued every day for four months until the king noticed and acted on his behalf in “the month of Nisan in the twentieth year of King Artaxerxes” (Nehemiah 2:1).